This entry was posted in Uncategorized and tagged Philosophy, Postmortem. Bookmark the permalink. 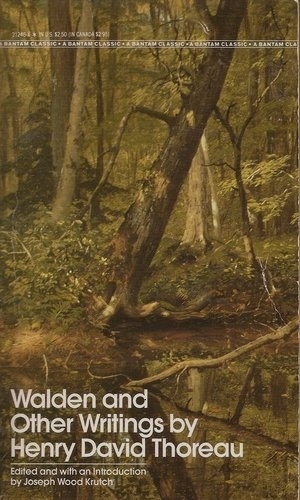 Walden is on one of my would like to read lists. Unfortunately for Thoreau – or not because the dead might not experience minor setbacks – it is on my would like to read if I see a copy in the library when I do not have a big stack of other books already list. However, your review has moved it up the list; another few commentaries from people whose opinion on thought/prose I consider might move it as far as remembering to check the catalogue when I am at the library. Fair enough. 🙂 It was on my “would like to read if…” list for a long time, too. IMO, no reason to move it into the “urgent” pile anytime soon. I probably will not until I hear a positive review from someone in the UK. After all it is an antidote designed for a culture not my own.